I have been eagerly anticipating this movie for months. It is my favorite play and my favorite cry. So, all I wanted to do on my birthday was go and see Les Mis. I enjoyed the filmed version of the classic Victor Hugo tale, due to the performances of the actors. Hugh Jackman was a great Jean Valjean. 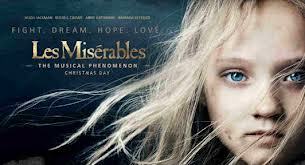 Anne Hathaway was sweet and vulnerable as Fatime and Amanda Seyfried was the best Cosette I've ever seen. I typically don't like Cosette because she comes off as non-dimensional and whiney, but Amanda gave her a depth and beauty I've never seen before. Overall the performances were great...yes, Russell Crowe doesn't have the singing chops for Javert, but he did looked the part (although I could have done without the little blue "night cap" he wears in the first scene). So you may be wondering where the B- grade comes from. Welll...direction, direction, direction. For me, the movies flaws were all in the direction. I spent most of the movie screaming in my head "ZOOM OUT, PLEASE ZOOM OUT"! Most of the film is shot in extreme close up. I think the director (Tom Hooper) was trying to bring an intimacy to the film that you can't necessarily get on stage, but in his effort to bring us close to the characters, he lost the sense drama and scope that the story had on stage and which should have been exemplified on screen. How dramatic this film could have been if the camera lens had pulled out to view the larger images of despair and hope. The scene in the tavern where the students sing "Red and Black", with most of the shots in close up, it never builds the tension of all the students singing as one unit. Singing in unison and moving in unison. Just a face here and a face there. Typically, I cry throughout the whole play. All I really need is to hear the music. Surprisingly, I didn't cry until the end of the film. I think the close-up technique allowed me to stay more distant and not feel what I normally feel. In the final scene, we finally get a full screen view of the barricade with all the characters. This was the "moviefication" that I was anticipating in the first place. When you make a movie of a stage musical...make it bigger, not smaller. Still so glad they made this movie and it was a perfect way to spend my birthday. I saw this too, Lindalou, and I think I would have rated it a little higher. It's funny, one of my best friends had the same opinion about the extreme closeups. I thought Eddie Redmayne as Marius was perfect, as well as the casting for Gavroche. Hugh Jackman did not have a big enough voice for me, but his acting was fabulous. Russell Crowe surprised me with his singing, so I really enjoyed it. I loved Anne Hathaway's rendtion of I Dreamed a Dream, but I did not like Cosette's high soprano voice. Sacha Baron Cohen was also perfectly cast as Thenardier. Over all, I thoroughly enjoyed the movie and cried my eyes out as I always do with this musical. Happy Birthday! and thanks for this detailed review. It's on my to see list. Now I'm off to read more of your blog! Happy Birthday and glad you enjoyed your day doing something you really wanted to do! I want to read the book first before I see the movie. I totally agree with your review. I would say that Russell Crowe was woefully miscast due to his singing or lack thereof. I can't believe that one of the stage Javert actors who looked more sinister and could actually sing wouldn't have been better. I thought Eponine was great. 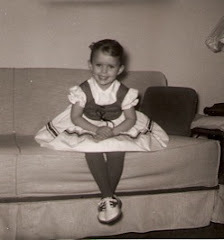 But mostly the close ups kept me from engaging my emotions in the film (As you know Linda, I usually cry throughout). I did cry at the end because of Hugh Jackman and Anne Hathaway's dying scene together. You made my day. I feel so validated. So interesting! When I saw the play (almost front row) years ago, I cried almost throughout! The music ... so BIG ... the voices ... so BIG ... the theme ... so BIG! Hum .. I wondered and could not imagine the movie as cast. It was so fun reading your little review. We went to see this movie, I couldn't wait either. I so wanted to sit there and get the story from one end to the other. I had to laugh at your "close up" comments! I wondered if anyone really could look good with that much up a close up of the pores on your face and facial hairs, etc! I have been wanting to see this movie. Have not yet.Thanks for the review. Hope your birthday was special.